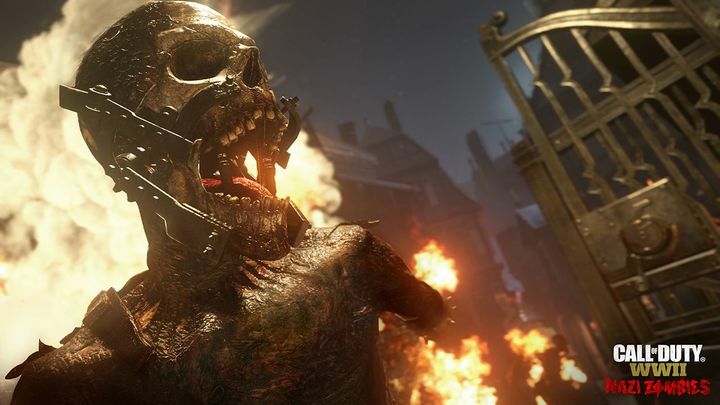 Call of Duty’s zombies mode has been one of the series’ biggest draws ever since it was introduced back in 2008 in Call of Duty: World at War. That game had players fighting hordes of Nazi undead in its zombie mode, which surely was one of the high points of the 2008 Call of Duty game. And now Call of Duty: WWII will be bringing back the Nazi undead in its zombies mode, which Activision revealed at this year’s Comic-Con International show in San Diego. According to Activision, this is a “a terrifying new zombies co-operative experience that transports players into a labyrinth of chilling Nazi experiments and monstrous creations of the occult, set mythically in World War II”. As has been the case with previous editions of the zombies mode, Activision has brought plenty of star talent to appear in it, and the likes David Tennant (of Doctor Who fame), Pulp Fiction actor Ving Rhames and Elodie Young from Daredevil will be lending their likenesses and voice to Nazi Zombies. Activision also released a terrifying trailer for Call of Duty: WWII’s zombies mode, showing the kind of creepy environments and hideous zombies players will have to deal with in the upcoming Call of Duty game. So, it certainly looks like zombies will once again be a solid diversion and a nice alternative to playing the campaign or Call of Duty’s multiplayer modes, offering some solid and cooperative multiplayer fun in a fantasy World War II setting. Note: Call of Duty: WWII will be released on November 3, 2017. Available on PS4, Xbox One and PC.